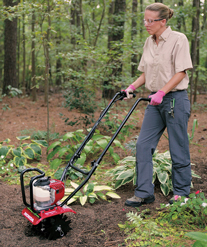 This lightweight Honda mini tiller is great for navigating existing gardens or breaking new ground. Outer tines can be removed to reach spots only 6in. wide. Till within 1 in. of plants without damage. 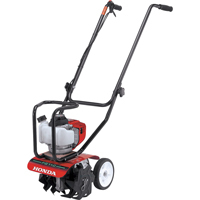 Comes with transport wheels and engine guard for easy mobility and servicing. Easy to Carry and maneuver.